Where are we? Click for directions. 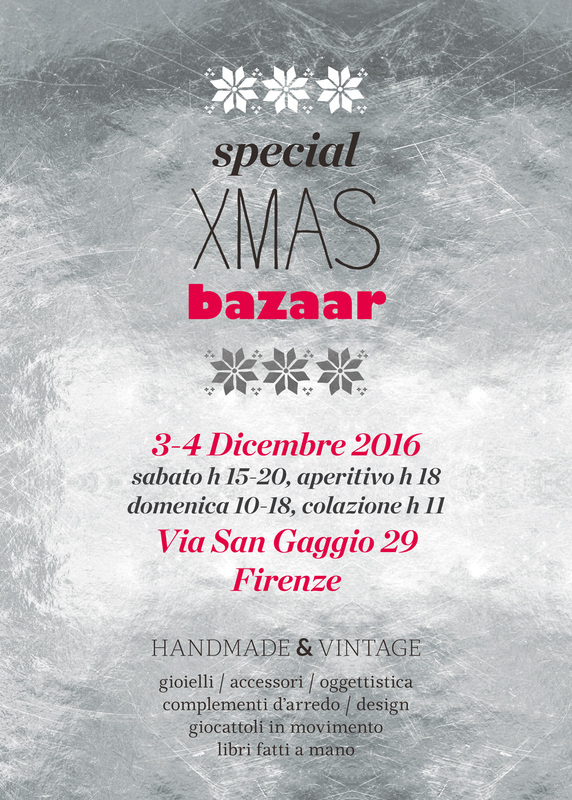 Creative People in Florence and Zetadistudio are excited to announce XMAS Bazaar, a holiday event filled with creativity and handmade gifts. Find unique items made by our members including jewelry, accessories, clothing, homewares, handmade books, toys, and more. Join us for a festive aperitivo on Saturday, December 3 from 6-8pm, and again on Sunday morning at 10:30 for coffee and biscuits. At 3pm join us to make your own Christmas wreath in an exclusive workshop with wedding designer and floral expert Sonja de Graaf of Funky Bird Wedding Design. Reservations required / €35 per person.